Visiting History | Observe. Compose. Capture. 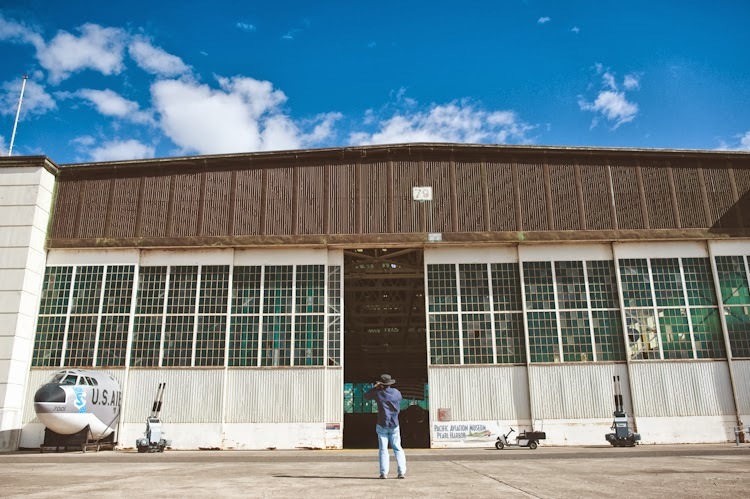 A couple weeks ago, my dad and I, who are both history buffs, visited the Pacific Aviation Museum on Ford Island, in celebration of National Museum Day! The glass windows in front of my dad still bear the bullet holes from Japanese planes during the Dec. 7th attack on Pearl Harbor...pretty amazing that they still were able to preserve it. More to come later! I remember going their for father's day a couple years back. My dad's pretty big on WWI/II stuff. It is pretty amazing sucha little thing like bullet holes represent a huge part of history.